Check out some of these key pointers to help you rise above the competition. • NEVER use the words Responsibility, Responsible, Adroit, Helped, and Duties. Never vacillate between active voice and passive voice throughout the document. To be effective, a resume should be written in active voice. Harbingers of the passive voice are “responsibilities included,” “responsible for,” duties included” etc. These phrases are such low level verbiage that at MJW Careers, we never use them! • Make your experience and offerings sound good so never paste information from the worksheets or old resumes. All information must be worded creatively, effectively, and in compliance with our rules/standards. • Make sure to structure highlights in results-based format. Introduce sentences with what they delivered and follow them with a comprehensive description of actions. • In the resume, ALWAYS begin sentences with strong verbs. • Avoid repetition. Be creative and make sure to always begin sentences with strong action verbs. You will find some examples of strong verbs at the end of this training guide. Make friends with dictionaries and thesauruses! Always look for the most effective, impacting, and creative ways to describe professional experiences and highlights. • Never include “References Available Upon Request” at the end of the document. The tag line is antiquated and not used these days. • Leave out personal information such as marital status, hobbies, and memberships irrelevant to their target objective and/or professional career. • Proofread your work VERY carefully. Keep in mind that the documents you create are the first impression a company receives. Therefore, it is imperative that you ALWAYS use correct spelling and grammar. A proofreading strategy that seems to work quite well is to proofread the documents on the screen once, print the documents and let them sit for at least 30 mins, and then proofread once again on paper. • NEVER create a resume in narrative format or first person (I, me, my, we, our). 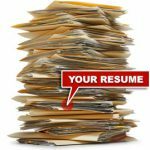 A resume is a marketing piece and business correspondence, which should always be an objective presentation of the client’s history. • Always use Arial font (10-10.5 size). Sometimes you will find yourself struggling to fit the information in 2 pages and need to work with spacing. Play with the margins but be consistent and make sure you don’t make the margins smaller than .6. • When mentioning years of experience on the summary and cover letter, you can say “over 20 years of experience” but don’t provide specific numbers over 20.